Cold Dude Computers: New Logout Screens for Adventure Party! New Logout Screens for Adventure Party! 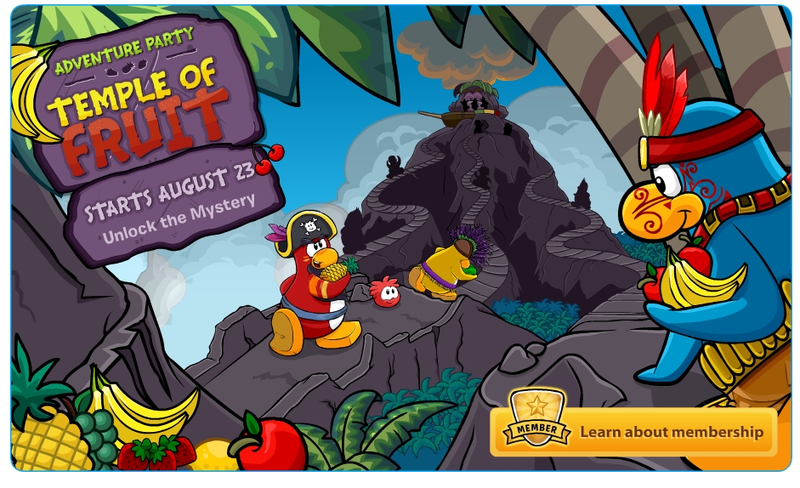 Recently a few updates were released for Club Penguin, one of them were two new logout screens. The first one is a picture of a volcano/The Migrator and Rockhopper and two other penguins running up to it. 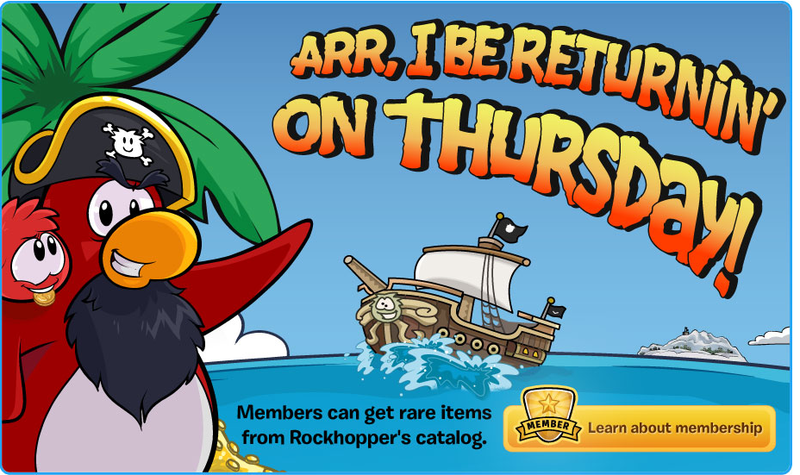 The second one is about Rockhopper. It says that he is returning this Thursday. Don't you think it should be that Rockhopper is arriving on Thursday, not returning? What do you think? Leave a comment and let us know!